Our passion is to teach dance to young people between the ages of 3 and 18. Our goal is to create a fun, enjoyable, non-competitive, and nurturing environment for our dancers. DanceStation is a Cecchetti school. The Cecchetti method is a series of graded classes designed to train the young dancer for professional work. Register your child today. 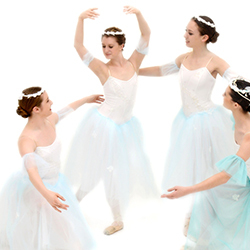 SSDC is our student based pre-professional company that is open to all students in Ballet 5 and up. We bring in choreographers from all over the St. Louis area, and many of my alumni that are now dancing professionally come back to set pieces as well. Fall Registration/Open House is Friday August, 17th. New students from 4-6:30pm and returning students from 6-8pm. Did you miss our Open House? Don’t worry, registration is open until classes start on Monday, September 10. We also have special summer office hours on Tuesdays and Thursdays from 4:30-6:30 PM. Be sure to check out our Summer Courses! Pre/K movement classes introduce the 3-4 and 5-6 year old to the world of dance. 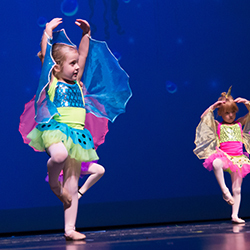 Pre-ballet, pre-tap, and creative movements are integrated into the class in a fun and enthusiastic way. Basic counting and locomotion skills are built on throughout the year. This hour and a half dance class prepares children between the ages of six and eight for formal dance training. Students are introduced to ballet, tap, and jazz dancing and meet once a week for an hour and a half. Upon completion of this class, students may be ready to prepare for their first Cecchetti exam. 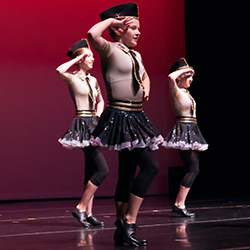 Elementary classes include ballet, jazz, tap, and students are introduced to modern and pre-pointe. Cecchetti Grades Primary, I, and II may also be introduced at this time. Not all students are presented for Cecchetti exams, however the classes are highly encouraged. 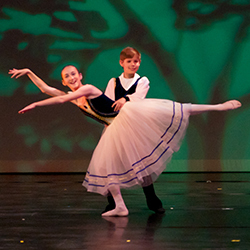 Cecchetti is a strict technique and disciplined method of ballet, but it produces some of our best dancers. Intermediate classes include ballet levels 5-7, and also tap, jazz, modern, Cecchetti Grades III, IV, and V. Girls continue pointe work. Boys begin to work on steps and movements that are particular to the male dancer. Advanced classes prepare serious students for university entrance auditions or auditions with professional companies. Qualified students are prepared for the upper level Cecchetti examinations (Grade VI, VII and Diploma). Supplementary Advanced Jazz, Tap, Modern and Broadway classes are encouraged, but not required. 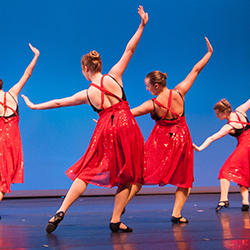 Jazz classes build isolation skills, flexibility, and physical sensibility. 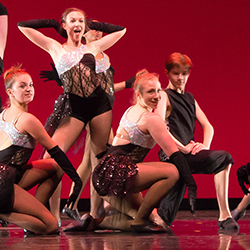 Turns, leaps, and floor and center combinations are set to pop, jazz, funk, and R and B rhythms. Jazz training is taught throughout the year and is our main technique in this area. Hip Hop is taught as a summer class and usually a guest teacher is brought in for a month during the year. Modern classes combine floor work, locomotor and creative movement to train the body, stressing freedom of movement. 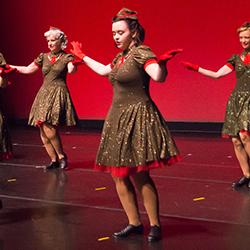 Tap classes build speed and facility through increasingly complex traditional tap rhythms. Private lessons are available for students who are older beginners but would like to advance to a higher level. 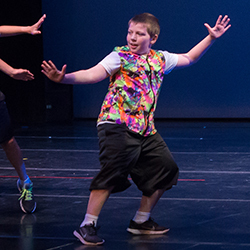 Broadway classes introduce advanced students to the music and movements from all kinds of different Broadway Musicals. These classes are great fun, filled with lots of wonderful music, and have become increasingly popular as the American Musicals have been making a rise again. A Broadway Kids and Broadway Junior workshop is offered (March through June) as an extra performance opportunity for younger dancers. 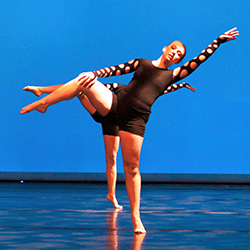 Adult programs offer exercise and aesthetic enjoyment through dance. YOU DON'T PICK DANCE. DANCE PICKS YOU.